IWISTAO'S BLOGGER : Do you need a Electronical 2 Way Crossover instead of passive one? Do you need a Electronical 2 Way Crossover instead of passive one? Although many friends put a lot of money and efforts to preamplifier, unfortunately they may experiences a little frustration in final output. 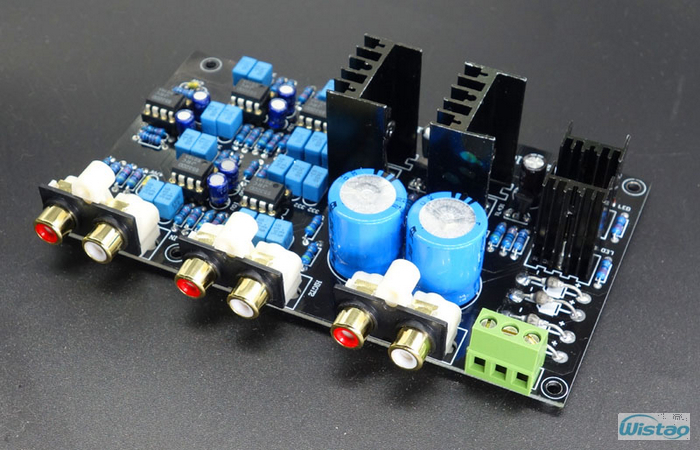 It is hardly difficult to solve this problem to use excellent pre-divider circuit of preamplifier plus multiple power amplifiers, our series of electronic crossover board and amplifier board can perfectly realize your dreams! 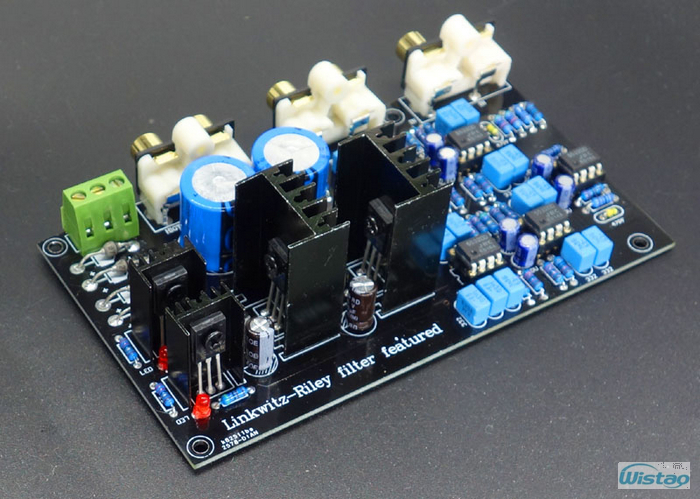 Crossover PCBA is constituted by renowned Linkwitz-Riley filter. Linkwitz-Riley filter, mainly for the active filter circuit, for example, it is used in many sophisticated multi-way electronic crossover systems. The characteristics of this filter is up to 4 stages attenuation slope, in other words, every one octave frequency sound energy will be attenuated 24dB, i.e. attenuation slope of -24dB / Oct (Oct ie Octave, an octave interval of the mean). 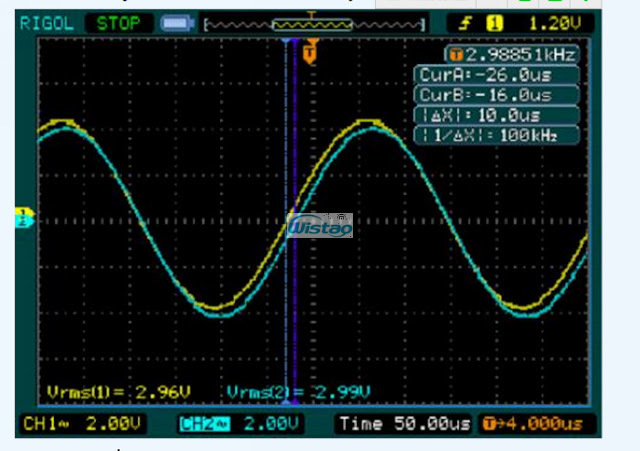 Meanwhile, in the entire audio band (20Hz-20kHz), Linkwitz-Riley filter has a very flat phase response, which is far better than Butterworth filter after filter signal, no phase distortion, which is widely admired by audiophiles. 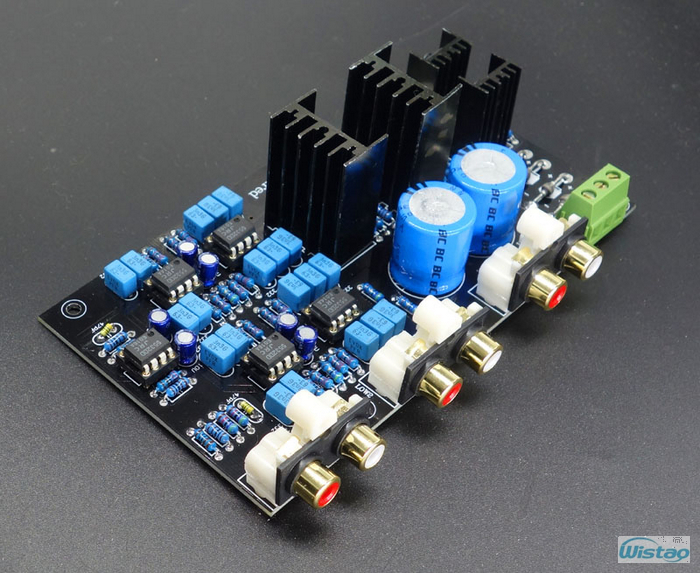 This PCBA of HIFI electronical crossover is refer to the ESP design company by US, which is set to four-channel stereo output structure to output left and right channel stereo signal, this is, output treble of left and right channel, bass of left and right channel, you can directly connect it with 4 channel amplifier circuits then drive your HIFI speakers. Pre-electronic crossover ensures original and natural sound through separated frequency of pre-amplifier small-signal, then drive power amplifier directly to push speakers, allowing you to enjoy the atmosphere of the studio's site. 2. Crossover point: 2200Hz (i.e. 20-2200HZ for bass output, 2200-20000HZ for treble output). Crossover can be customized to other frequencies (free custom), please leave the seller nessage if need. Different speaker crossover point is not the same as the best; you can give us the crossover point, we help you calculate the parameters of the circuit again on sale. 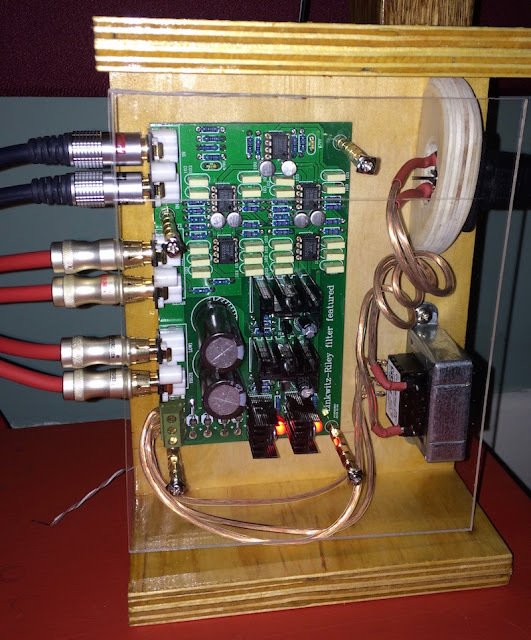 There is a HIFI Electronical 3 Way Linkwitz-Riley filter Crossover with Class A Powe, which is a 6-Channel and Crossover-point 310HZ/3.1K Hz.